New Orleans Pelicans star Anthony Davis is taking extreme actions to find a personal assistant that fits a very specific description. He posted an ad to Craigslist (yes, Craigslist) and shared the listing with his Facebook followers. And basically, he's trying to find a clone of himself. 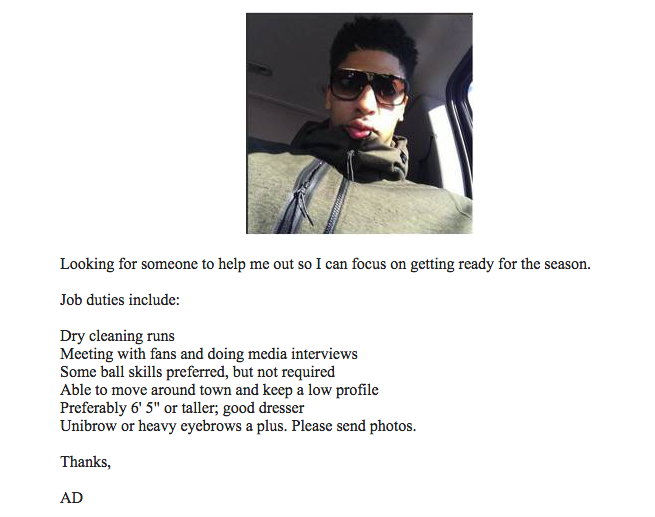 So if you have a unibrow, a 6'5" frame and good ball skills, Anthony Davis wants you to hit him up.